Maggie is estimated to be 5 1/2 years old. She was abandoned when her owners moved and a nice gentleman took Maggie and another dog into his care. Sadly, he died and that left Maggie and “Charlie” without a home. Maggie came into ARG care and she needs a new family. One that can be devoted to her sweet and loving ways. She is shy at first but quickly realizes that someone can be trusted and give her a good meal and loving care. We believe that Charlie was an off spring of Maggie and Charlie has found a new home. Maggie came into ARG care with heartworm so she has been treated for heartworm, brought up to date on all shots and microchipped and she is ready for adoption. She even had a tooth extracted and while she was doing that – she had her teeth cleaned. She really enjoyed being with Charlie. We believe that she’d do well in a home with another dog or with a devoted family. She is unknown with cats. Maggie is adjusting to her new family. 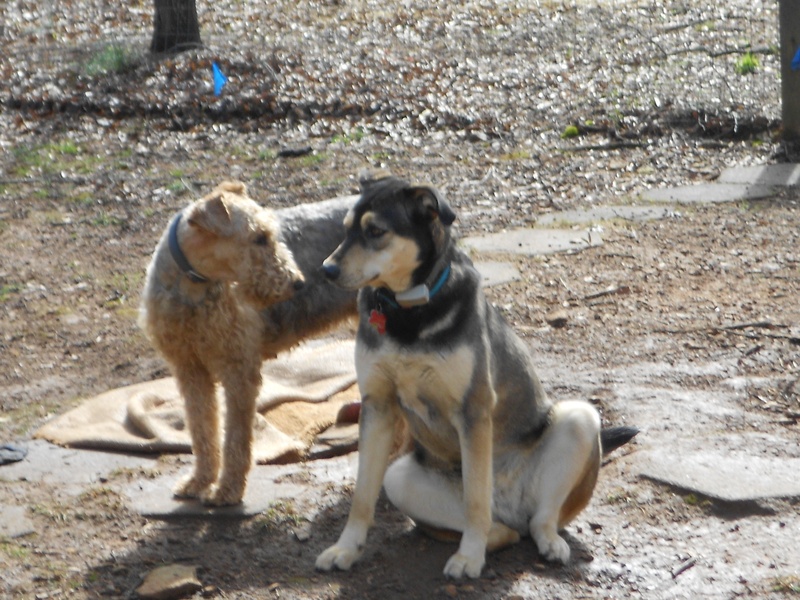 Maggie was adopted by a family who has a small poodle named Angel and a Shepherd mix named Levi. She loves her new family.